Raise the bet on your pre-event promotions when you print Casino Dealer Invitations and post them in advance. 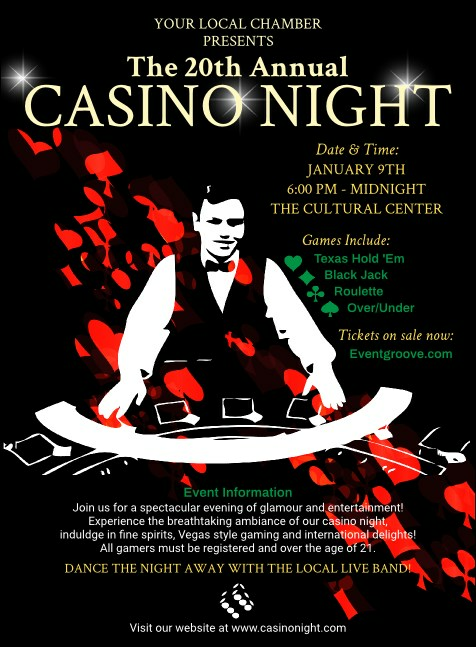 These bold Invitations feature a black background accented by brilliant red hearts, spades, clubs and diamonds, and each one gives you space to include twenty-two lines of text for all your gaming event details. TicketPrinting.com knows when to hold ‘em and when to fold ‘em.